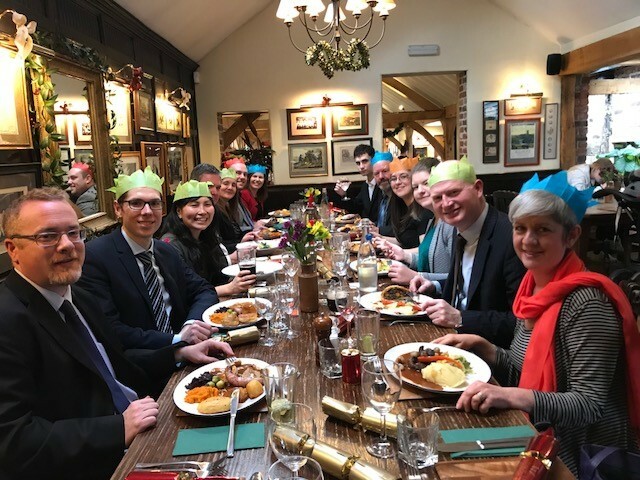 The first Christmas lunch held by South Cheshire Law Society as part of their social events programme received a positive response from its members. It was a lovely, relaxed afternoon of good food and merriment with a great turn out. Firms across South Cheshire joined the festivities with solicitors from Jobling Gowler, Hall Smith Whittingham, Bowcock Cuerden, Evolve Family Law, and Tebbitts & Co Commercial Solicitors, as well as law students. A special thank you to Paul Clark from Jobling Gowler in Macclesfield for arranging this successful event and getting us out of the office. Paul specialises in Wills but it is apparent that he is very good at organising Christmas parties too! South Cheshire Law Society will continue with a full programme of activities in 2018. If you would like to become a member, follow this link to download a membership form http://southcheshirelaw.co.uk/membership/.